In the next 10 years, our nation’s electric system will undergo a drastic transformation. The current electric grid will be replaced by a revolutionary “smart grid” system that streamlines the way we share power and information. The changes will impact every mile of the electric system, reaching every single consumer and business. A change of this magnitude is likely to cost billions of dollars and create countless of job opportunities. 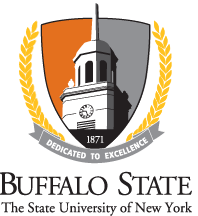 As a pioneer of training for new industries, Buffalo State College is already offering a program that can help students become experts in this new technology. Intrigued? Read on to learn more about our Electrical Engineering Technology: Smart Grid Program. "The grid" refers to a network of electric transmission lines, substations, transformers, and more that deliver electricity from the power plant to homes and businesses. Our current electric grid was built in the 1890s and improved upon as technology advanced through each decade. Today, it consists of more than 9,200 electric-generating units, connected to more than 300,000 miles of transmission lines. Although the electric grid is considered an engineering marvel, we are stretching its patchwork nature to its capacity. To move forward, we need a new kind of electric grid, one that is built from the bottom up to handle the groundswell of digital and computerized equipment. As an electrical engineering technology: smart grid major, you will be trained in this exciting new technology—called the smart grid—as well as the system that is currently in place. Two years ago, the New York Power Authority nominated Buffalo State to become an affiliate university with GridEd, a collaborative educational initiative seeking to develop and train the next generation of power engineers. This affiliation qualified the college for the EPRI award. “The NYPA recognized Buffalo State’s Smart Grid program as a strong and competitive one,” Grinberg said. Professional Accreditation: Our program is accredited by the Accreditation Board for Engineering and Technology. Small class size: Typical classes in the major have between 12 and 24 students. Popular major: Enrollment in the electrical engineering technology grew by 137 percent between fall 2010 and fall 2014. Minor options: Students can supplement the EET major with minors in Quality, Safety, and Energy Systems. High job placement: Typically, 100 percent of EET smart grid graduates will find industry employment within one year. Students with the highest grade point averages usually have multiple job offers before graduating. Multiple facilities: EET students have access to the Thermal Sciences Lab, Vibrations and Structures Lab, CAD/CAM Lab, Control Systems Lab, Electrical Power Systems and Student Project labs. National Association of Black Engineers: Founded at Purdue University in 1975, the NSBE now has more than 31,000 members with 250 active collegiate chapters, including at Buffalo State. Membership offers academic support professional development, leadership training, resume building, and gateways to career opportunities. Epsilon Pi Tau: The National Honor Society for technology students recognizes academic excellence of students. All prospective members from these groups must meet Epsilon Pi Tau professional and leadership performance criteria. Epsilon Pi Tau has inducted 90,000 plus members since its inception. Math Club: The club takes the topics learned in the classroom and applies them to the real world with the aim of introducing students to opportunities for individual growth in their knowledge of mathematics and mathematics education. Events include games, current events in math, in-depth talks from professors, guest speakers, and students. SAE Mini Baja Competition: The SAE Mini Baja Competition is one of the most unique and exciting extracurricular activities open to electronic technology and mechanical engineering majors. The goal of the competition is to design, build, and race off-road vehicles that can withstand the harshest elements and roughest terrain. The vehicles used in Baja SAE racing are often similar in appearance to dune buggies. Buffalo State’s Mini Baja team is made up of EET and MET students who use the competition as their senior project, which is required for graduation from the program.